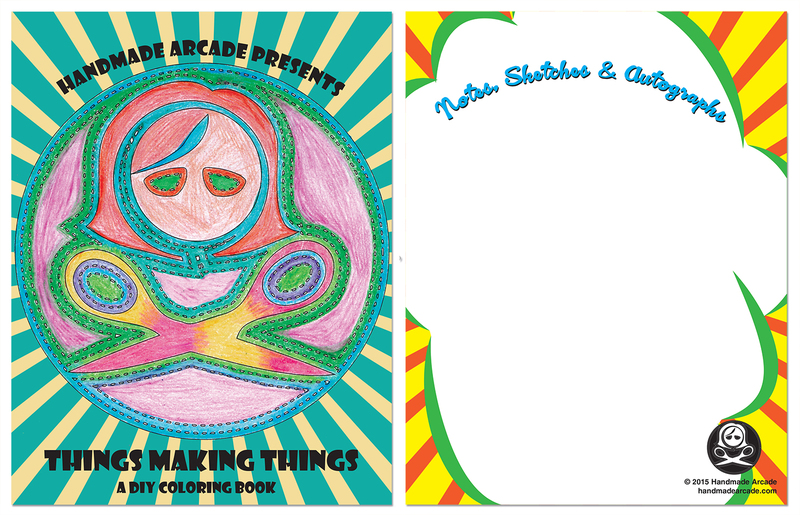 In 2015, Handmade Arcade issued its very own coloring book entitled THINGS MAKING THINGS: A DIY COLORING BOOK. Through my work as Handmade Arcade’s Executive Director, I commissioned and worked with 10 local artists who generously donated original artwork featuring imaginative creatures who are all making something unique. Along with the line drawings, the artists provided interviews, giving the consumer a unique look into the artists’ lives, processes, and more. 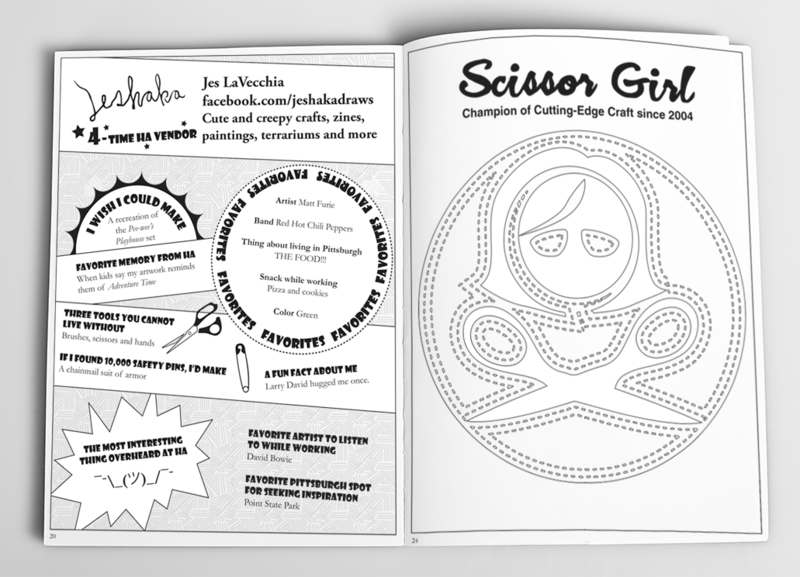 I designed the information pages, the front and back cover art and managed the project from an idea at a meeting, to content, to design, to editing, to print and sales. 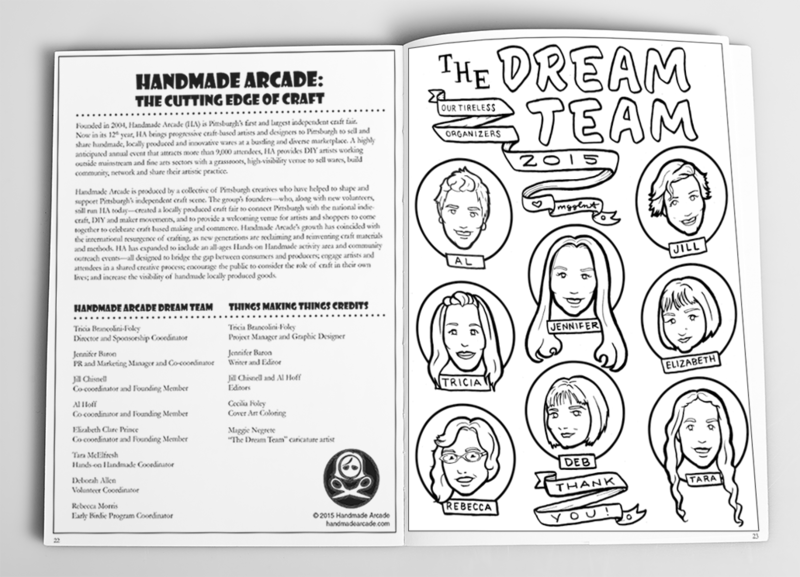 All proceeds from the sale of Things Making Things will support Handmade Arcade’s educational and outreach activities. Visit handmadearcade.com for more information.